I like the shape of this tree and its similarity to a wading bird foot. 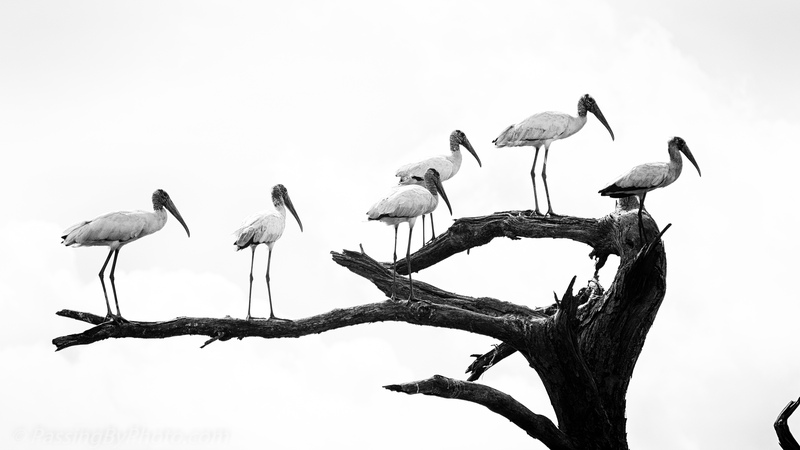 It seemed appropriate that these Wood Storks lined up across the branches. Great photo, Ellen. The black and white works wonderfully. Thank you, Scott, glad that you liked it! Thanks for stopping by. Excellent, Ellen. Great in monochrome. Thanks, Jane, glad to know that you liked it! Thanks, Belinda. The tree all by itself could make a nice image.